A dog sport open to everyone! 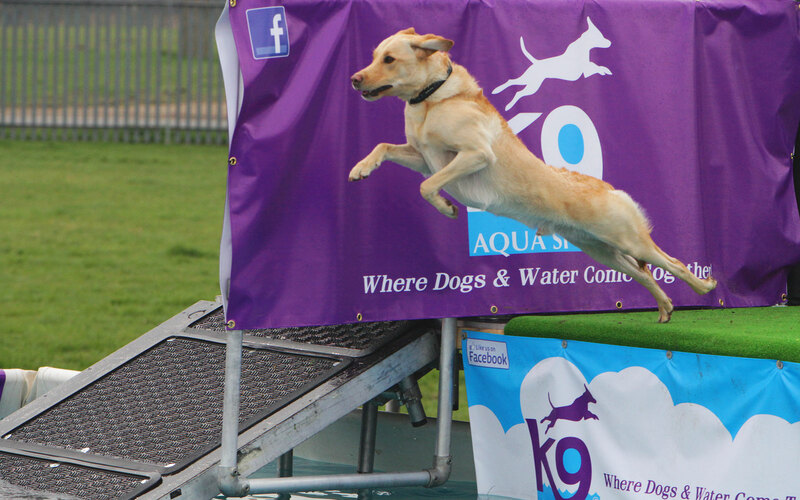 K9 Aqua Sports© is all about having fun with your best friend. 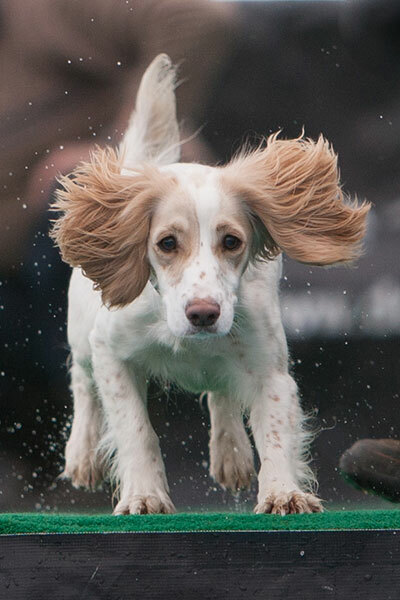 The aquatic dog sport of dock diving, also know as dock jumping was first introduced and seen in 1997 and really started as a competitive competition in 2000 since and then has grown to become a Worldwide dog sport. K9 Aqua Sports© has seen changes within this dog aqua sport over these years and whilst there are several companies offering different variations with this fantastic sport, many are geared to primarily competitions, thus not offering the general public a chance to try out this sports with their dog, when they first come across it. 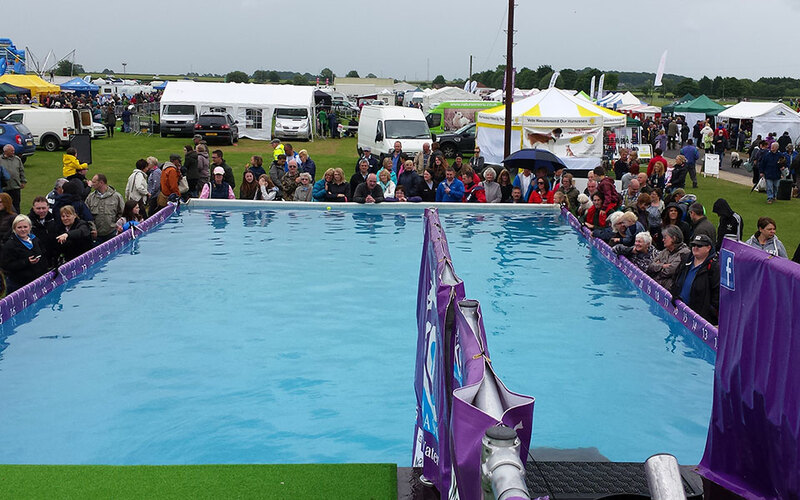 With K9 Aqua Sports©, we offer you, not only the opportunity to tryout at events and shows with ‘Have A Go’ sessions, but also to compete with some of the biggest jumping dogs at these events. It is truly a dog sport open to everyone and all dogs, of Any Breeding, Any Size & Any Ability, as long as they are over 6 months old. 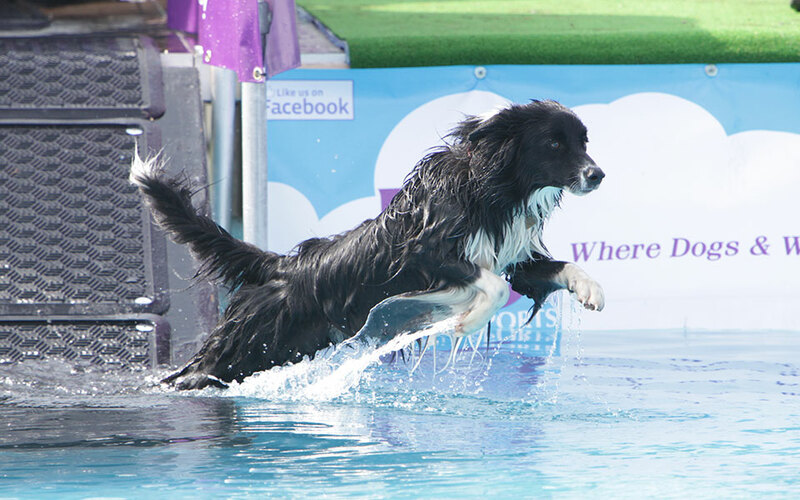 come along to one of our future Events and join the Soggy, Doggy Family!